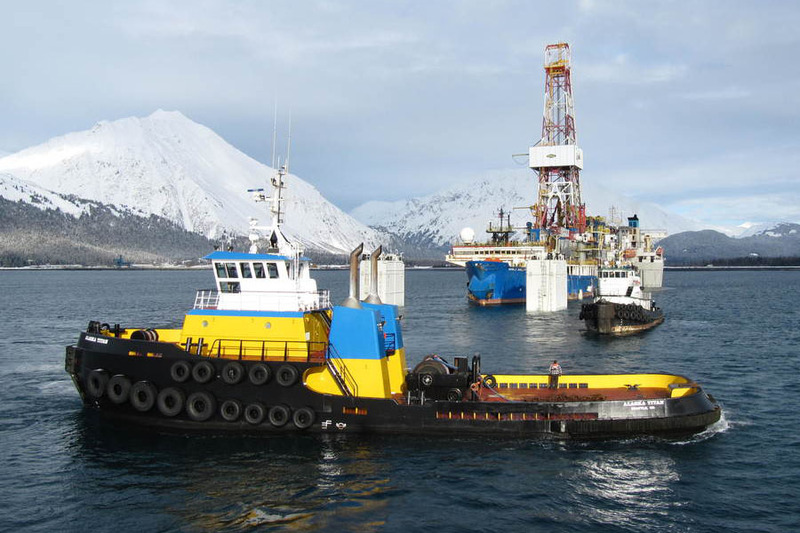 For nearly 70 years Western Towboat Company has provided high quality ocean and harbor towing services along the Pacific West coast and Alaska. Today, they’ve grown to a fleet of 22 vessels and 7 barges. Western Towboat prides themselves on top-of-the-line service for its customers, impeccably maintained equipment, and a diligent safety culture. Western Towboat had been looking to consolidate and centralize its marine operations data within a single software system. Prior to MobileOps, Western utilized a variety of methods to capture data such as paper forms, spreadsheets, and other types of software. Having multiple methods and systems made it time-consuming for management to track and compile information about safety, equipment, and personnel. Additionally, it was also difficult for employees to submit important data for shoreside. Western Towboat wanted to improve their processes in order to bolster their safety and compliance initiatives (including Subchapter M), reduce costs by minimizing manual data processing, and increase engagement with marine personnel. Most of Western Towboat’s fleet operates far off offshore or in the middle of the ocean during multi-week towing jobs. Therefore, an application that relied on web connectivity was not going to cut it. The crews aboard Western Towboat’s vessels needed an easy-to-use application that allowed them to perform routines, fill out forms, log engine hours, submit deficiencies and then sync them at a later time when a connection was available. In addition, Jeff Slesinger, Director of Safety & Training and Western Towboat, had developed a comprehensive safety program based around a variety of important safety topics that mariners need to review. Each topic has a renewal frequency in order to ensure everyone stays up to date. For example, a topic could be “Man Overboard” and captains, mates, and deckhands need to participate in a drill, safety meeting, or training event that covers the “Man Overboard” at least once per year. Western Towboat needed a software solution that allowed Jeff to import his list of Topics and associate them with routines, safety meetings, or training events. He also required that personnel could be attached to such events. Therefore, if an employee named Sarah Hansen participates in a routine drill that has the topic “Man Overboard” associated with it, she will get credit for that topic. Lastly, shoreside management needed it to be easy to find resources and export data to Excel spreadsheets for custom analysis. With MobileOps Voyager’s easy-to-use design, crews performing long tow jobs out of cellular range could easily perform drills, fill out forms, and complete any operational or safety data all on an iPad. When they come into port and acquire a cellular signal or WiFi, the Voyager application indicates that a sync can be performed. With one click, mariners can sync their data, which afterward becomes immediately available on MobileOps Web for shoreside personnel. MobileOps made it easy for Western to take their safety and compliance initiatives to the next level. Jeff’s department was able to effectively load their safety topics, create Routine Templates and associate them with topics, and distribute them to employees via both MobileOps Web and the Voyager application. 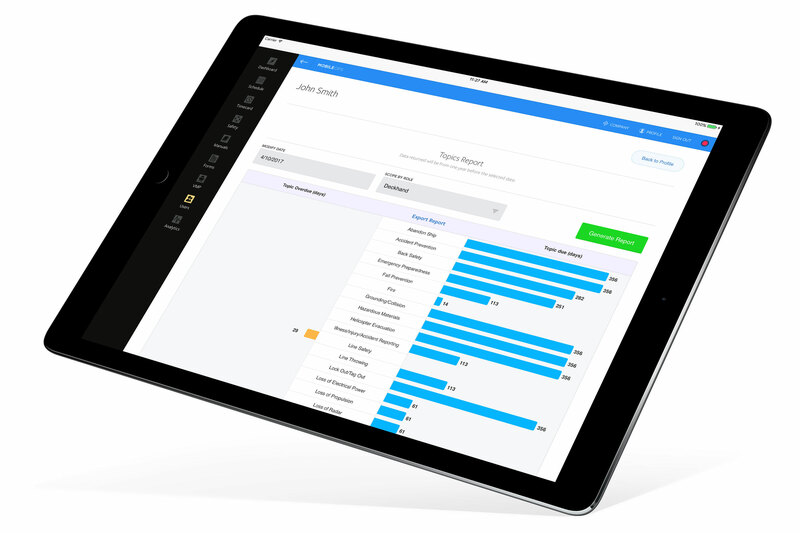 In addition, MobileOps provides comprehensive, valuable reports for the individual employee level, vessel level, and company-as-a-whole level. In addition, Western utilizes MobileOps to keep track of deficiencies and work requests, easily track their employee personnel documents and certifications, and much more. 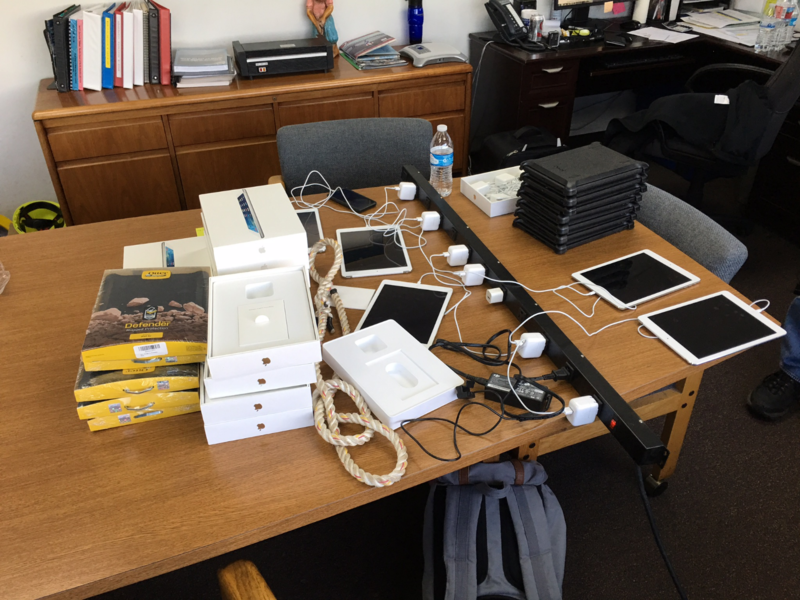 Preparing: Western chose to cover their iPads in Otterboxes for protection. Since deploying MobileOps across their fleet, Western Towboat have reduced costs through efficiencies gained from MobileOps. They have eliminated manual data entry and reporting, drastically reduced the time it takes to compile data for audits, and have amplified engagement with employees in all departments. Crew members using Voyager have commented on how easy it is to use compared to other software. All of these efficiencies combined have allowed Western Towboat to perform at a higher level by ensuring that equipment stays in the best shape possible, crew members are trained and effectively tracked on safety, and that shoreside employees has the data they need to make important decisions—which ultimately allows Western Towboat to perform safe and efficient work for their customers.